Eayz.net has unearthed this 1993 German to English dictionary starring Mario. The book is actually officially licensed by Nintendo – probably not that surprising, given that Nintendo of Europe is headquartered in Germany. 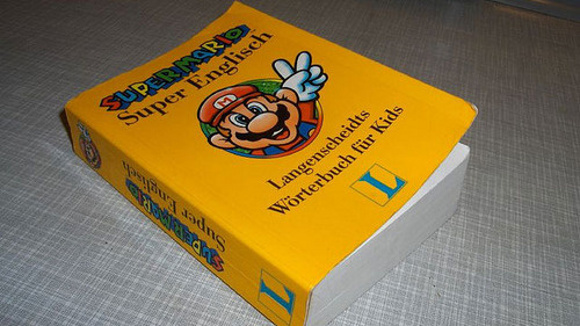 The book features Mario in a variety of situations (including erm, robbing a bank) to teach German kids to learn English. The book features some pretty amusing artwork, but the whole thing is fairly harmless.